1. 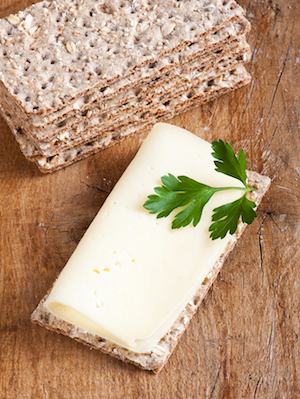 Healthy proteins The first four weeks involves the consumption of healthy plant based protein, combined with low-fat fish and white meat options. A diet full of nutrient dense plant based protein has been shown to increase life expectancy while lowering the risk of today’s common diseases, such as cardiovascular problems, diabetes and obesity related illnesses. Half a glass of warm water with the juice of half a lemon. This gets the liver and gallbladder and digestive functions and also helps with fat metabolism. Each breakfast option is protein based with some carbs for energy and cognitive function. 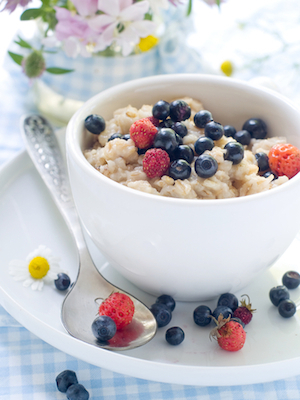 Porridge with Berries: Add a few teaspoons of fresh or frozen berries to a small bowl of porridge with a dollop of non sugary organic yogurt. Berries are catabolic, which helps with fat burning, while oats help to keep blood sugar levels stable, thus resulting in weight loss and elevated moods. 2 Eggs Free Range Scrambled, Poached or Boiled; 1 Piece of Toast: Rye, Mixed or Wholegrain with organic butter or olive oil margarine. Protein Smoothie: Blend 200-250mls of Rice or Almond Milk with one Banana or a cup of Berries and a few Almonds. You can add 1 scoop of plant based protein. We recommend Sunwarrior Protein Vanilla, a plant based protein powder. These shakes can be used as a meal replacement because they are high in protein and amino acids that keep you feeling fuller for longer. Add enzyme-rich vegetables like spinach or kale for more nutrients. Don’t be afraid of the green color, as the vegetable taste is masked by the fruit, nuts and yogurt. You can also add 1 tablespoon (serving) of Sapphire Blueberry Shots, nutrient dense cellular fuel great for hair, skin, nails and to help with energy levels. Small bowl of Berries with a few Almonds, and Yogurt if desired. Eating every few hours helps to control portion size and helps to regulate blood sugar levels to eliminate cravings. 1 Apple (or other piece of fruit) with a few Almonds. 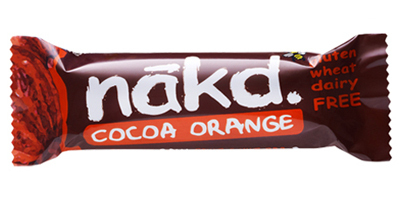 Healthy food bar, such as Nak’d or Organic Food Bar. TIP – Before lunch or dinner, six spirulina tablets can be taken to help prolong feelings of fullness from the meal. Broccoli, Cauliflower and Green Bean Soup: to 300mls of water, add a cupful of the Broocoli and Cauliflower and half a cup of Green Beans. Simmer and season with thermogenic spices such as black pepper, cayenne, garlic or chili. 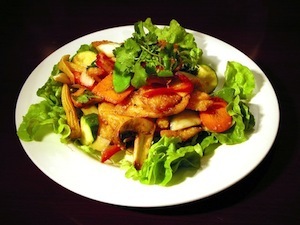 Grilled Chicken, Salmon, Tofu, Quorn Meat Substitute or Turkey(150g or less) with a cup of Leafy Greens dressed with olive oil and balsamic vinegar. 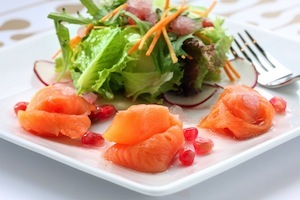 This is a protein based meal that is high in antioxidants and full of healthy omegas to help with mood and skin. Smoothie, like the breakfast option, can be used as a meal replacement but only for one or two of the meals. A half serve of the shake can be used as mid morning or mid afternoon snack if it isn’t being used as a meal replacement. 1 or 2 Crisp Bread with Peanut or Nut Butter. Carrot and Celery Sticks with 50g Hummus. 1 or 2 Crisp Bread with Avocado or a thin spread of Ricotta Cheese. Grilled Tuna/Tofu/Chicken/Turkey or Quorn Meat Substitute (less than 150g) with one to two cups of Steamed Green Vegetables of choice. The vegetables can be dressed with a little olive oil and garlic, sea salt or black pepper. VIDEO: Rick Hay shows you how to make a dinner of Quorn and Salad. 2 to 3 Free Range Egg Omelette seasoned with chili or cayenne for their thermogenic fat burning properties. Pair with a cup of Leafy Greens. Stir Fry with Green Vegetables and Cauliflower. Choose a protein option, like Grilled Tuna/Tofu/Chicken/Turkey or Quorn Meat Substitute (less than 150g) and season with your spices of choice. Pair with half a cup of Brown Rice, if desired. Warm 2 or 3 Dates or Prunes and serve with a splash of Rice or Almond milk. 1 cup of Herbal tea of choice. Choose a calming variety such as: Chamomile, Lemon Balm, or Valerian. This is a static position, keeping the body in a stiff plank, the ‘action’s to pull your belly button towards your spine and pull up on the pelvic floor (about 20%), hold this position for up to 30 seconds or more if you can. Tip: Make sure the hips stay low and elbows/hands are under the shoulders. Assume ‘running position,’ with one leg forward, one back – just move your arms quickly as if you are running very fast. Tip: Increase intensity by moving the arms faster. Tip: Start with shoulders on floor, legs straight up in the air, breath in, as you exhale reach your hands towards toes, lifting shoulders away from the ground, touch toes if possible and pulse. Do up to five circuits of the above, depending on how much time you have and then move onto yoga (below). Lie flat, center yourself, rock up to sitting crossed legged, hands in prayer, eyes closed, raise hands to ceiling, stretching up, then lower and repeat. Tip: Keep your core muscles engaged and keep feet off the floor when ‘rocking’ up.